If you’re bored of the typical New Year’s Eve celebrations – standing in the cold with a cheap glass of champagne and setting off fireworks in your back garden – then it might be time to consider alternative ways to enjoy New Year’s Eve in South America! Whether you love to party or prefer to get close to nature, this continent can offer you the celebration of a lifetime. So start your year as you mean to go on! How about waking up on New Year’s Day to a sunrise over Machu Picchu? Well it’s entirely possible! 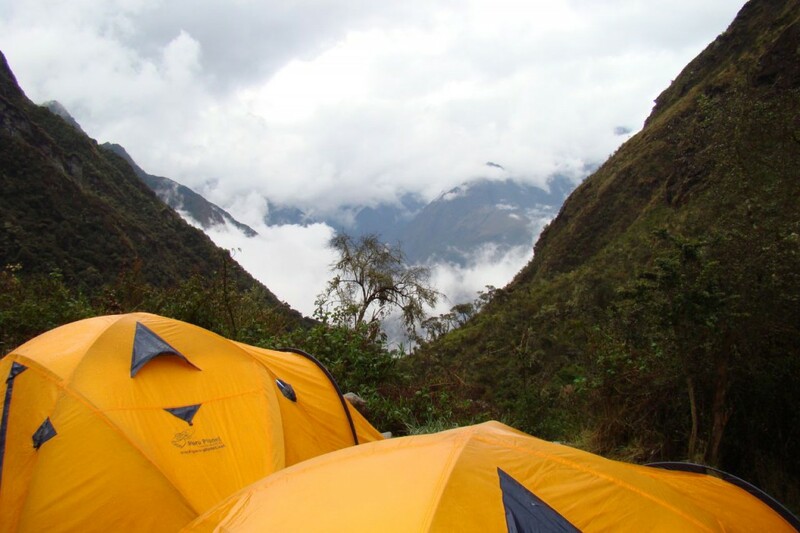 Spend four days hiking the Inca Trail, and celebrate with a delicious Peruvian feast cooked over a fire by your personal chef, before retiring to your camp for fabulous, sunset views of the Inca Valley. Alternatively, spend New Year’s Eve at the Belmond Sanctuary Lodge, in the grounds of the UNESCO site, where they host an annual party with a gala dinner. 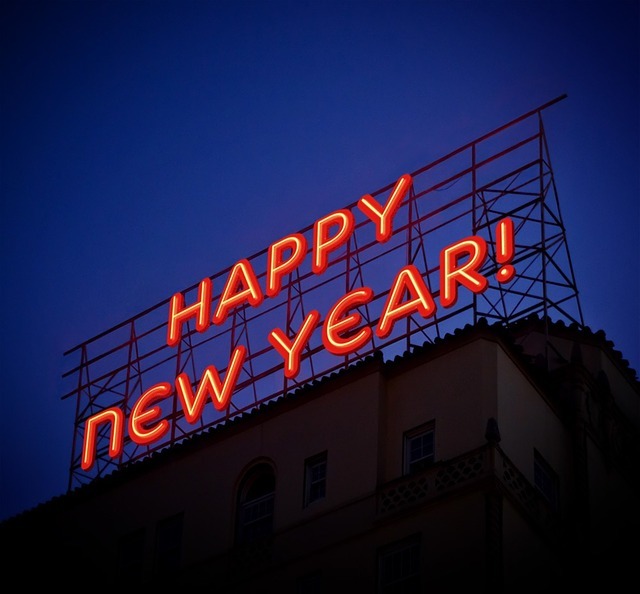 It’s the closest hotel to Machu Picchu, so you could be the first visitor of the New Year – if you’re feeling up to an early start after the party that is! The capital of Argentina is famous for its national dance, the tango, and there are some incredible shows that will bring passion and romance to your New Year’s Eve. An evening of tango, traditional Argentine cuisine, cocktails and live music is the perfect way to immerse yourself in the local culture, and see in 2016 in style! We recommend the more well-known tango houses such as El Viejo Almacen or La Ventana if you really want to go all out. They provide food and entertainment leading up to midnight, and a DJ takes over to keep the party going until the early hours of the morning. Head to the beach for a laid back celebration! The Colombian’s sure know how to party, but there is more on offer than a night of great music. 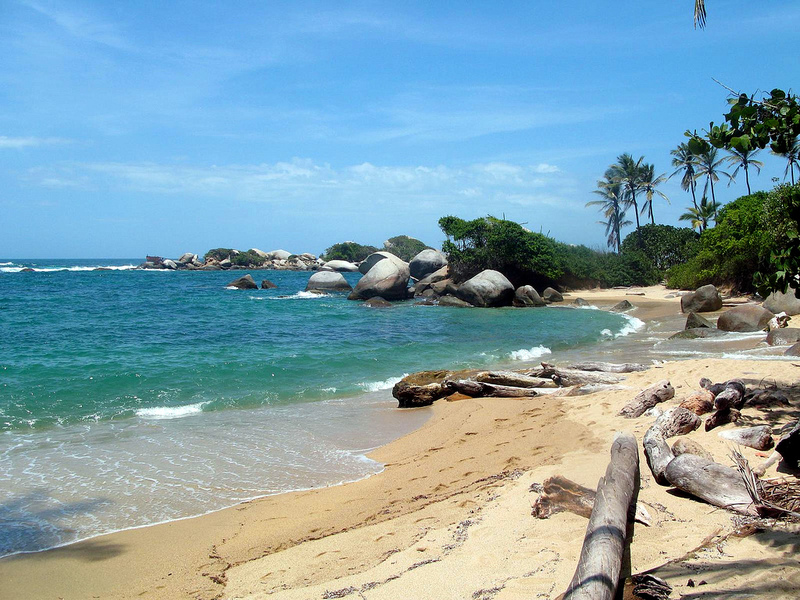 Colombia has some of the best beaches in the Caribbean, and many of them also offer great scuba diving. So you can either spend New Year’s Eve in South America dancing with the locals in Cartagena or drinking a rum cocktail in a beach hut on the Caribbean Coast. Cartagena puts on a fantastic fireworks display, and the place to be for the best view is the Sofitel Hotel, where you can enjoy a drink on the rooftop bar overlooking the beach. And if you really want to see the New Year in with a bang, the hotel also hosts one of the county’s most impressive parties. If you really want to get away from it all, head to the deserts of northern Chile and spend your New Year’s Eve watching the skies. The Atacama is one of the best places on earth for stargazing, as is the Elqui Valley, and there are many trips aimed at people interested in astronomy. Of course, you probably won’t be dancing the night away at a party, but you could toast to the New Year with a glass of the local Pisco. And forget about fireworks, because shooting stars and galaxies are far more exciting to watch anyway! Of course, if you are looking to spend your New Year’s Eve in South America dancing and drinking, look no further than the party capital of the world, Rio de Janeiro! 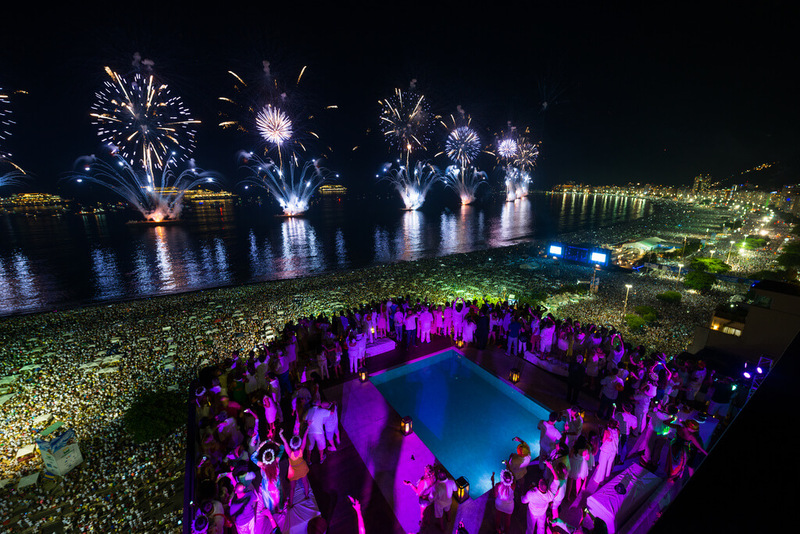 Apart from Carnival, this is the biggest celebration of the year in Brazil, and it sees thousands of people take to Copacabana beach to watch the live DJs and world-famous fireworks display. Wherever you are in the city there will be celebrations, but if you want to avoid the madness of Copacabana we recommend heading to the hillside neighbourhood of Santa Teresa for great views of the city and a more laid back night. Even if New Year’s Eve isn’t the highlight of your calendar, it’s a great time to get away – temperatures in South America are at their highest and a short holiday after Christmas is the perfect way to start the year!